as changing the first sub-list to numbered also changes the second, and changing the second sub-list to bulleted also changes the first. 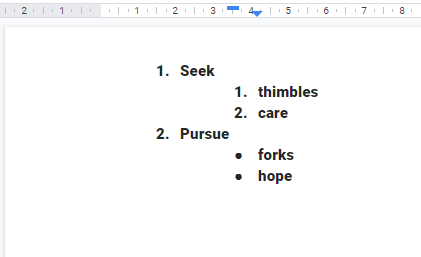 What are the possible ways of having sub-lists with different styles, changing both list type and marker? Using the Google Documents equation editor, how can I enter the binomial coefficient? How can I add even more bullet list levels? 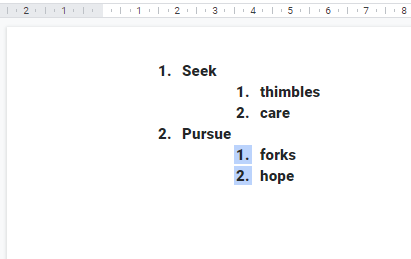 How can I modify paragraph styles in Google Docs? 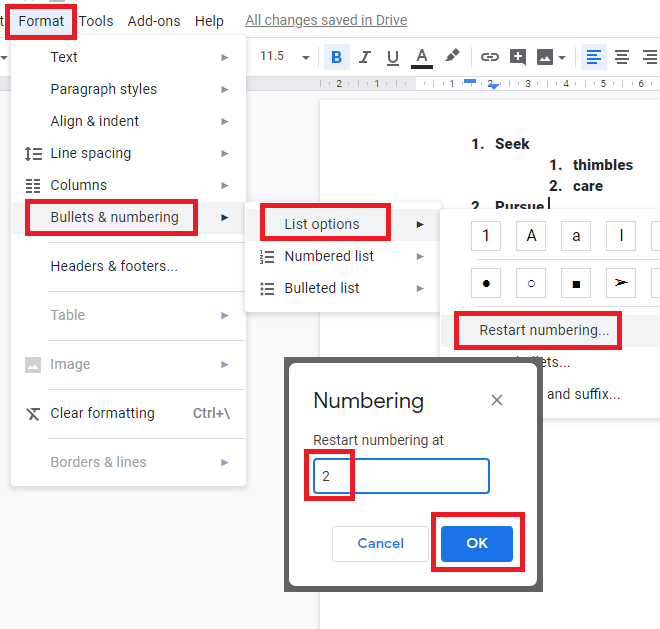 Google Docs: How to change the color of bullets in bulleted lists? 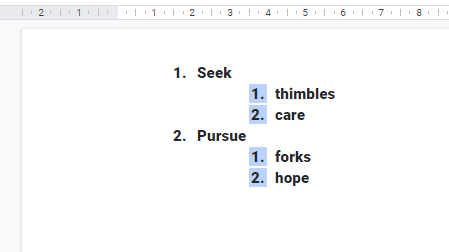 How to make links that redirect you to the same document in google docs?